The difference between a broker and lender is an important one as you consider which organization to assist you with your home financing. A broker is simply an intermediary who arranges financing for you, the borrower, with a lender. A broker doesn’t actually approve or “make a loan.” A broker cannot lock an interest rate nor create closing documents for your closing. These are the limitations of a broker, however a broker can provide an important function. 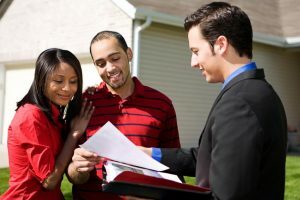 Since a broker works with many lenders, a broker can work with a borrower to match the specifics of a borrower’s transaction with the right lender. This then results in a great outcome for a borrower! It should be noted that a broker cannot lock your rate or make a lending decision on your loan. A lender, by contrast, “makes the loan” themselves with their own funds. In many cases, the lender approves the loan, coordinates the closing, creates your closing documents, wires the funds to your closing, and otherwise manages the transaction from beginning to end without any other third parties. The value of the lender then, clearly is in the close control over the transaction, interest rate, and borrower experience. Consumer protection is paramount overall in the mortgage industry and both brokers and lenders are held to high standards of compliance. Lenders, however, are more heavily regulated by the government because they are the entity dealing directly with the borrower, “making the loan.” This is clear in state and federal regulatory bodies that license the two channels; broker and lender. Becoming a lender is a more rigorous application process than a broker. Both lender and broker perform important functions for the borrower but brokers are limited in what they can and cannot do. Brokers can assist borrowers greatly throughout the process but again, as an intermediary; there is little control over the transaction. There will be more paperwork with a lender but the lender controls the transaction directly. It is important that the potential borrower knows the functionality of two different channels so they can decide which channel is better for them. At Mortgage Equity Partners, we feel it is important to offer both channels to the potential borrower. While virtually all of our transactions are done through our lender channel, we feel strongly about our ability to be able to provide the broker channel to our borrowers also. As an organization committed to assisting borrowers obtain the best home financing, being a lender allows us to process loans quickly and efficiently, providing an outstanding experience for our borrower. Offering a broker channel as well gives us more products and programs to offer borrowers since we deal with more investors. Ultimately it is the quality of the loan officer managing your transaction that will matter. Our experienced loan officers have the integrity, product knowledge, skill, and aptitude to make the right recommendations for you. Our loan officers will explain the process, and let you, the borrower, know what channel is being used to process your loan and how that helps you obtain the right outcome for your loan request.